The work of ecosystem restoration is not easy, but does it have to be this hard? 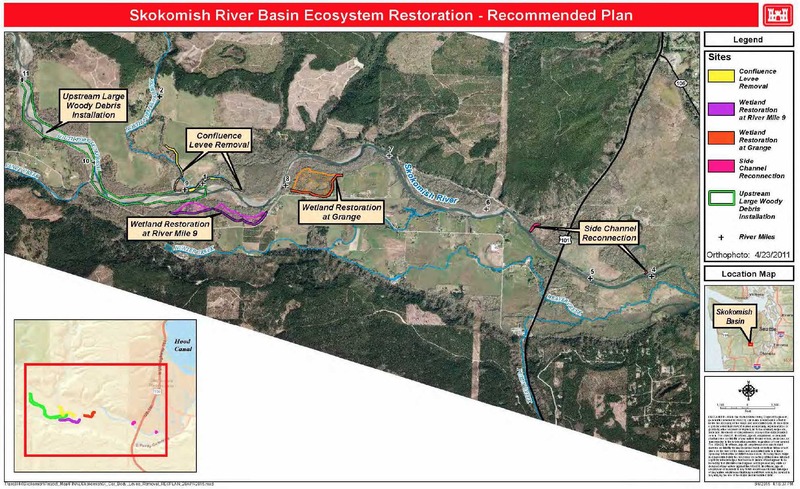 The U.S. Army Corps of Engineers is spending $4.4 million to study the Skokomish River and its ecosystem in enough detail to understand the workings of this complex river system. What was it that turned this river — once narrow, deep and swift — into a river wide, shallow and slow much of the time? Nobody expects a simple answer for a river that is long and branching with many streams flowing in, as the waters drop out of the mountains and emerge into a flat valley. But the Army Corps of Engineers and many assisting agencies have tackled the job of trying to understand the river in mathematical terms. The wait for answers is frustrating for many people, particularly farmers in the Skokomish Valley, as I point out in a story I wrote for today’s Kitsap Sun. It’s not the first story I’ve written about this frustration, and it probably won’t be the last. The Corps has completed some work along the way, and we should start to see some of those studies soon. I’m not sure how many people will be able to understand them, but it would be nice to know for certain that something is getting accomplished. Even those with the most optimism and faith in this process are beginning to wonder what this “general investigation” is all about. — In the upper Skokomish watershed, the U.S. Forest Service continues to decommission old logging roads and replace culverts to reduce sediment loads getting into the river. This summer, more than 30 miles of roads are scheduled to be taken out with other improvements planned along the popular Brown Creek Road. 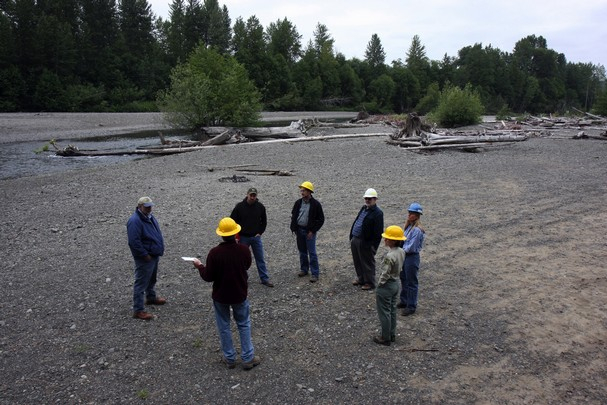 — In the South Fork of the Skokomish, about 25 engineered logjams will be installed this summer to improve salmon habitat, including spawning riffles, resting pools and hiding areas. 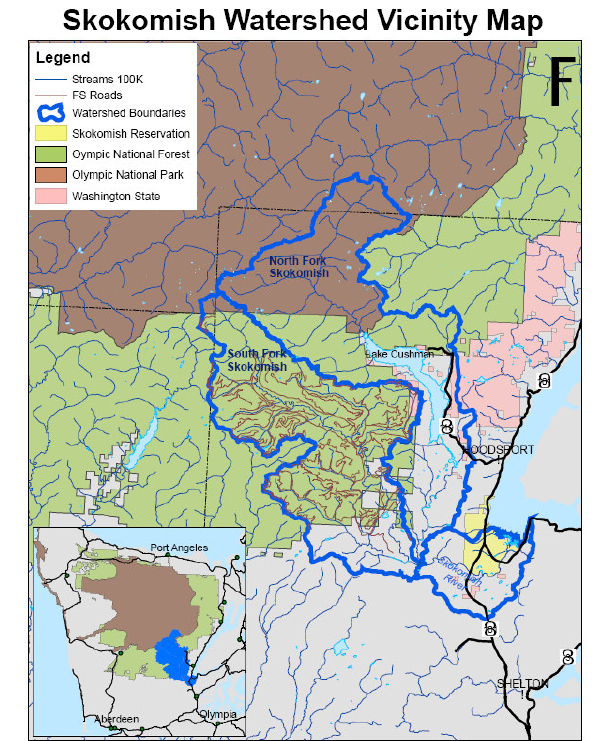 The project, a joint effort of the Forest Service and Skokomish Tribe, is expected to cost about $650,000. — In the Skokomish estuary at Hood Canal, a $3-million restoration of Nalley Island is planned, including the removal of 2.5 miles of dikes and 2 miles of interior roads. 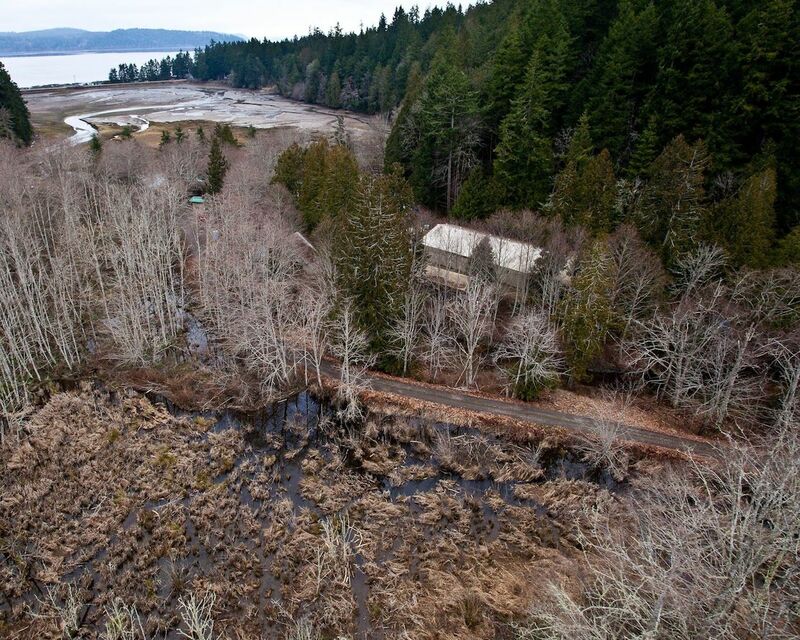 Tide channels will be restored through the property, connecting with Hood Canal. 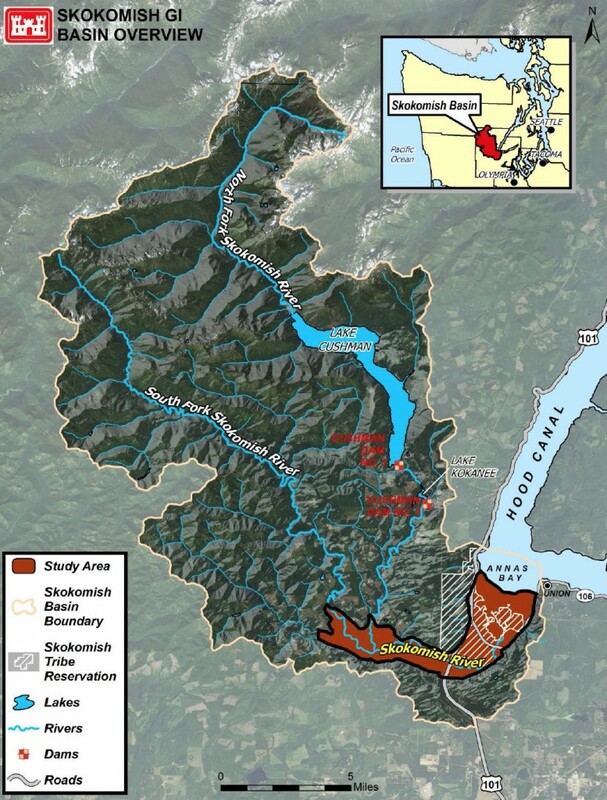 The project is expected to improve habitat for all species of salmon and shellfish, reduce flooding upstream and possibly improve the low-oxygen problem plaguing Lower Hood Canal. I will provide more details on these projects when they get under way. If you haven’t read my series on the Skokomish River, you can find it on its own web page.